NESTLED IN A QUIET CUL-DE-SAC THIS EUROPEAN STYLED BRICK RANCH IS READY FOR IMMEDIATE OCCUPANCY. BUILT AND USED AS A ''MODEL HOME'', IT HAS MANY UPGRADES AND HAS BEEN PROFESSIONALLY DECORATED IN NEUTRAL TONES. A UNIQUE SIDE WALKOUT BASEMENT WITH A TALLER CEILING HAS BEEN ROUGHED-IN FOR A FUTURE FINISH WHICH INCLUDES WINDOWS AND A PATIO DOOR PROVIDING LOTS OF DAY LIGHT. THE INTERIOR FEATURES HARDWOOD FLOORS, 9' CEILING HEIGHT ON THE FIRST FLOOR, GRANITE COUNTER TOPS IN THE KITCHEN WITH STAINLESS STEEL APPLIANCES. THIS IS A SPLIT BEDROOM DESIGN WHICH OFFERS PRIVACY FOR THE OWNER'S BEDROOM SUITE. WATERSTONE IS A SMALLER PRIVATE NEIGHBORHOOD WITH A 3 ACRE LAKE AS THE CENTERPIECE OF THIS EXCEPTIONAL COMMUNITY DEVELOPED BY ELITE HOMES. Waterstone is a subdivision within the city of Louisville, Kentucky. There are currently 2 Homes for Sale within Waterstone, with asking prices ranging from $439,000 to $484,900. The average list price per square foot of the available inventory in Waterstone is $121, which is below the Louisville average of $155. The Average Sales price of all sold real estate in this subdivision for the past year is $471,000. Recent comparable homes have been selling for 96.82% of their asking price. Waterfront homes represent 50.00% of the available Waterstone inventory. The population of Louisville, according to the 2010 Census, is 597,337. The total number of households in the zip code of Waterstone is 10,749, with an average household size for of 2.72 people. The total number of renter households within the zip code of 40245 is 1,772, which means that 83.51% of households in this zipcode are owner occupant households. 213 Waterstone Way, Louisville KY 40245 is a Home, with 3 bedrooms which is recently sold, it has 2,135 sqft, 109/182X198/40 sized lot, and 2 Car Garage,Attached parking. 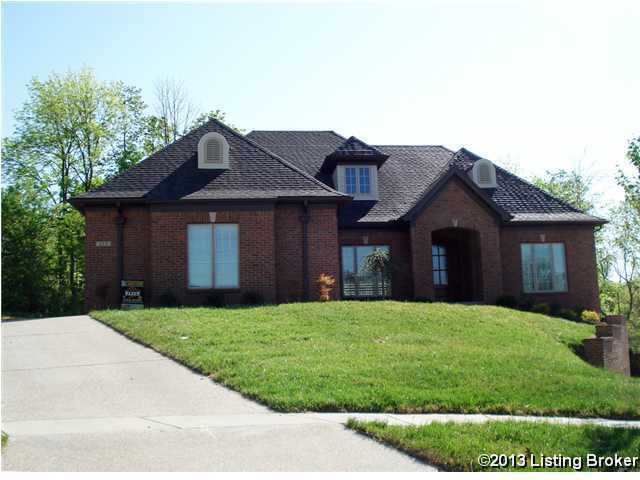 A comparable Home, has 4 bedrooms and 3.5 baths, it was built in and is located at 15810 Waterstone Ct Louisville KY 40245 and for sale by its owner at $ 439,000. This home is located in the city of Louisville , in zip code 40245, this Jefferson County Home, it is in the WATERSTONE Subdivision, and Woodmont are nearby neighborhoods.